Photograph, Texas Marker commemorating the life of Daniel Denton Cooley. Courtesy of Panoramio. Image available on the Internet and included in accordance with Title 17 U.S.C. Section 107. Photograph, Picture of the Daniel Denton Cooley house. Courtesy of Houston Arts and Media. Image available on the Internet and included in accordance with Title 17 U.S.C. Section 107. COOLEY, DANIEL DENTON (1850–1933). Daniel Denton Cooley, real estate developer and prominent Houston businessman, known as the "Father of Houston Heights" in Harris County, the son of Robert William and Eliza Maria (Stone) Cooley, was born on April 15, 1850, probably in Pennsylvania. He was raised in Binghamton, New York, where he attended public school and business college. As a young man he settled in Ashland, Nebraska, where he worked in a mercantile business and served as cashier for the First National Bank under president Oscar Martin Carter. In 1887 Cooley became a director, treasurer, and general manager of Carter's newly formed Omaha and South Texas Land Company, for which he worked until the company was dissolved in 1895. The Omaha and South Texas Land Company was a subsidiary of the American Loan and Trust Company, which was responsible for the purchase on May 5, 1891, of 1,765 acres of land west of downtown Houston. 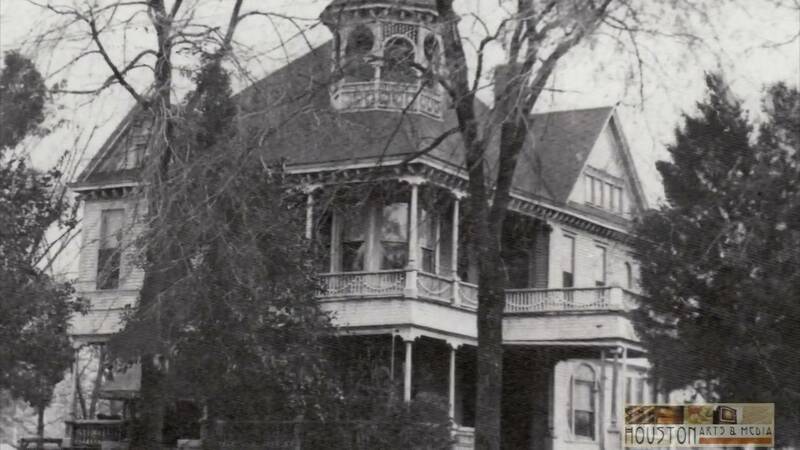 The property, twenty feet higher in elevation than the downtown area, came to be known as Houston Heights. At the time it was one of the country's largest real estate projects. Cooley's home was one of the first houses in the division. He installed the electric lights by hooking wires from the house to the electric trolley. Marmion Park, at the site of the former Cooley residence, contains a pavilion modeled after Cooley's home, which was razed in 1965. Cooley School was named in his honor and built on land donated by the company. Cooley played a key role in establishing the school, and he was one of only two living persons in the city for whom a school had been named. It served the community until the 1970s. After the Heights incorporated in 1896, Cooley was elected alderman in April 1897. Later he served as chairman of the joint city and county committee that built Jefferson Davis County Hospital. Cooley helped to organize St. Stephen's Mission in 1895 and served as warden until it disbanded in 1904. He also served on the vestry and assisted in the formation of another Episcopalian mission that became St. Andrew's Church. Photograph, Picture of the gravesite for Daniel Denton Cooley. Courtesy of Find a Grave. Image available on the Internet and included in accordance with Title 17 U.S.C. Section 107. Cooley was a Shriner and a member of the Fraternal Hall Association. His wife was especially active in the Houston Heights Women's Club, and he and his wife donated property for a clubhouse for the organization. He was associated with the South Texas National Bank, the Houston Electric Company, and the Electric Street Railway Company. He served as president of the State Land Oil Company, which later merged with Gulf Oil Corporation, and the Houston Railway Company, which became part of the Houston and Texas Central line. In 1903 Cooley became a partner in the insurance firm of Childress and Taylor, which later became Cooley, Schweikart, and Seaman. He married Helen Grace Winfield on February 5, 1883. Among his three sons was Ralph Cooley, a pioneer in restorative dentistry. A grandson, Denton Arthur Cooley, became a world-famous cardiovascular surgeon. Cooley died in Houston Heights on November 22, 1933, and was buried in Glenwood Cemetery. Sister M. Agatha, The History of Houston Heights, 1891–1918 (Houston: Premier Printing, 1956). Houston Chronicle, October 22, 1912, November 22, 1933, October 17, 1965. Houston Post, November 23, 1933. Houston Metropolitan Research Center Files, Houston Public Library. Marie Phelps McAshan, A Houston Legacy: On the Corner of Main and Texas (Houston: Gulf, 1985). Handbook of Texas Online, Gayle Davies, "COOLEY, DANIEL DENTON," accessed April 21, 2019, http://www.tshaonline.org/handbook/online/articles/fcomd.